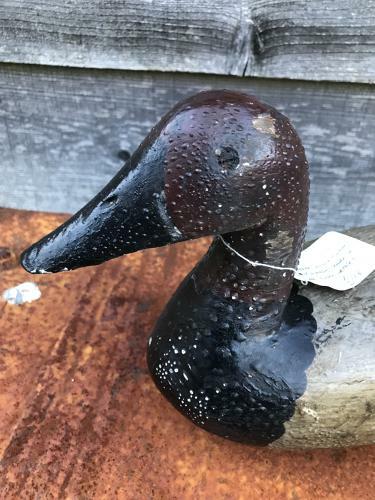 Medium antique Decoy Duck (maked no.5 underneath) with original screws for eyes. Fabulous old paint that has orange peeled with age. Well painted, has a great interior look to it. Originally came from a large Suffolk Estate where it was said they were made by the estate workers. Probably c.1900. This is the smaller of the two estate ducks.